Well, I was still an absolute beginner, with everything to learn, so having an experienced editor to finesse my words and a high-profile publisher to show me the ropes made absolute sense. So right up until typing THE END, I hoped my story would be the one to jump off the slush pile and into the waiting arms of an enthusiastic publisher. Highly unlikely but what did I have to lose? Three submissions in, I’d had enough. The fact I spent only about ten minutes cobbling together a synopsis – which everyone knows is crucial for making a good first impression – was the first clue my heart just wasn’t in it. It wasn’t that I didn’t believe in my book or wasn’t willing to put in the hard yards to get it in front of readers. It was because I realised I might not be the right fit for the traditional publishing industry. I felt like I was wasting not only my time, but theirs as well, chasing a contract I might never agree to. Since then, I’ve done more research about the state of the industry and self-publishing, and every day my conviction grows that I’ve done the right thing. My reviews have been strong, with the book being praised as “well-written” and “an impressively polished debut”. No one has pointed out that it came across as amateur, thankfully. If you are a writer at the crossroads of deciding whether to pursue a publisher or go it alone, the most important thing to remember is what is right for one person, might not be right for you. You need to take into account your goals, personality and expectations. The rise of ebooks. Although I firmly believe that the best thing about self-publishing is that anyone can publish a book and that the worst thing about self-publishing is that anyone can publish a book, I am forever grateful that I am writing in an era where ebooks exist. The digital book revolution means I don’t have to wait for a publisher to take a gamble on me or put up an exorbitant amount of cash to publish it myself. By 2011 Amazon was selling more ebooks than printed books and forecasters are predicting ebooks will continue to carve out an even bigger share of the market in coming years. So having my book released only as an ebook shouldn’t deter readers – even though my mum would have liked the opportunity to pick up a copy at a bookstore! But holding an actual hard copy of my book in my hands was never one of my goals. Maybe that’s because I had my first newspaper byline at the age of thirteen, so seeing my name in print is somewhat old hat. For some people, though, that factor alone is why they will continue to hunt high and low for a publishing deal. Instead I revelled in the fact that with a bit of research and not a lot of money, I could have an ebook available for sale around the world within months. Would the real control freak please stand up. Twenty years ago, I probably would have jumped through any hoop to work with a publisher but now, having just left a long-term job to strike out on my own, having another master to answer to did not appeal AT ALL. What if I hated the cover they chose, what if I didn’t think the editor knew what she was talking about, what if the story was hacked to pieces so it no longer represented the book I wrote? What if they set a writing deadline I couldn’t meet, what if they continually postponed publication because it didn’t suit their schedule, what if we couldn’t agree on the next project from me? Of course none of those problems might have eventuated and signing with a publishing company had so many advantages – including the access to expertise and distribution channels, the ability to sell international rights and instant credibility. But realising the odds were stacked against me, particularly as I had written a book much longer than the standard for that genre, I didn’t think it was worthwhile to persevere. Sure, if a lucrative deal had fallen in my lap, no doubt, I would have tossed caution to the wind but for now I’m glad I still in the pilot seat. Promotion would be up to me. Having been exposed, as a book blogger, to how the publishing industry operates, I realised there was no guarantee a publisher would actively promote my book or choose the right channels to do so. 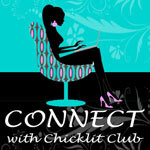 Over the past seven years as Chicklit Club editor, I have dealt with authors far more frequently than I ever have with publicists. More often that not it is the author who contacts me when they are looking for publicity. Some publishing firms are better at this than others, and it is no coincidence that the first publisher I approached was one known for doing a great job in promoting their authors. However understanding that the task of getting my book before the right eyes at the right time would most likely fall on my shoulders, this again made it an easy decision. The maths didn’t add up. Ebooks should be heaps cheaper because you don’t have all the associated costs of paper, printing, distribution etc. But many publishing companies are still charging beyond what consumers are willing to pay – possibly because they still hope readers will elect to buy a printed copy instead. By publishing it myself, I could control the price – and the profit margin. Having seen the percentages offered by publishers, I quickly calculated how many books I’d need to sell via Amazon to match it. The simple fact is I can sell far fewer books to make much more money, especially since my main expense so far has been my time. No one really cares who the publisher is. This is not 100 per cent true yet but we’re getting there. As indies have closed the gap in terms of a professional-looking product, it is harder for readers to tell the difference. When I am debating whether to read a book, I look at the cover, I look at what the book is about, I look at the author’s background, and lastly, if I am still undecided, I will look at the publisher (a well-known one wins extra points). However if I like the look of the book from the get-go, I probably won’t even notice who’s packaged it. Will some readers and reviewers not consider my book because it’s not got the stamp of approval from a big-name publisher? Probably. But hopefully enough will be intrigued enough to give it a go. If not, there’s alway book No.2 or 3!! So for now, I am happy with my choice to go down Indie Road. It has been a liberating learning experience that I am sure will pay dividends one day. 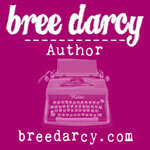 Bree Darcy is the pen-name for the publisher of several popular websites for readers and authors, including Chicklit Club, Connect and We Heart Writing. She worked as a newspaper sub-editor in Perth for about twenty years, and is married with three children. 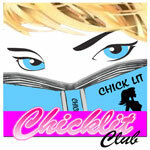 Don’t Mention the Rock Star is her debut novel.